David didn’t have the typical background of a drug addict or a criminal. Born and raised on Oahu, he grew up with a loving family that spoiled him. “I got everything I wanted and needed. In fact, being spoiled is what got me into drugs as a teenager. I spiraled out of control after high school and got into serious trouble,” he says. For twenty years, David led the life of a drug addict and was trapped in a cycle of drugs, crime, and prison. “Every time I was arrested, the judge offered me rehabilitation or prison. Prison was only 18 months, treatment took two years. I chose prison every time,” he explains. In 2009, he committed a felony. The judge, recognizing his pattern, sent him to The Salvation Army Adult Rehabilitation Center, where he learned structure, received treatment in exchange for work therapy, and received spiritual support from the Officers. “I started to understand how I was hurting others and myself. 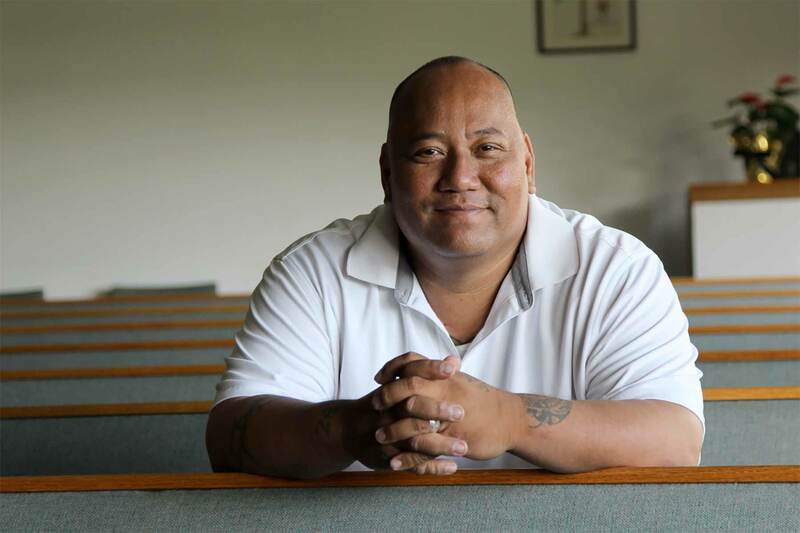 The Salvation Army helped me realize life is so much more than drugs and crime,” he says.